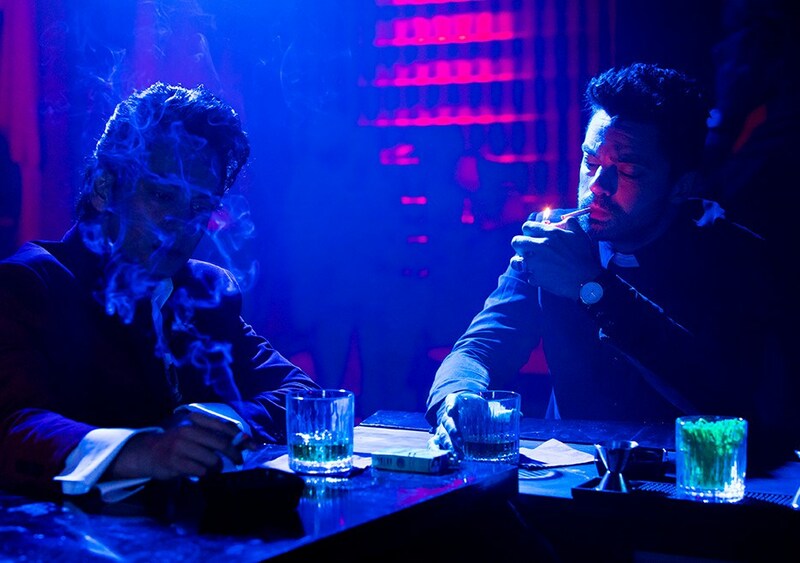 With a cigarette in one hand and what looks to be a stiff drink in the other, Dominic Cooper’s chain-smoking West Texas Preacher returns to the fray in another wave of photos for the second season of AMC’s jet-black supernatural series. 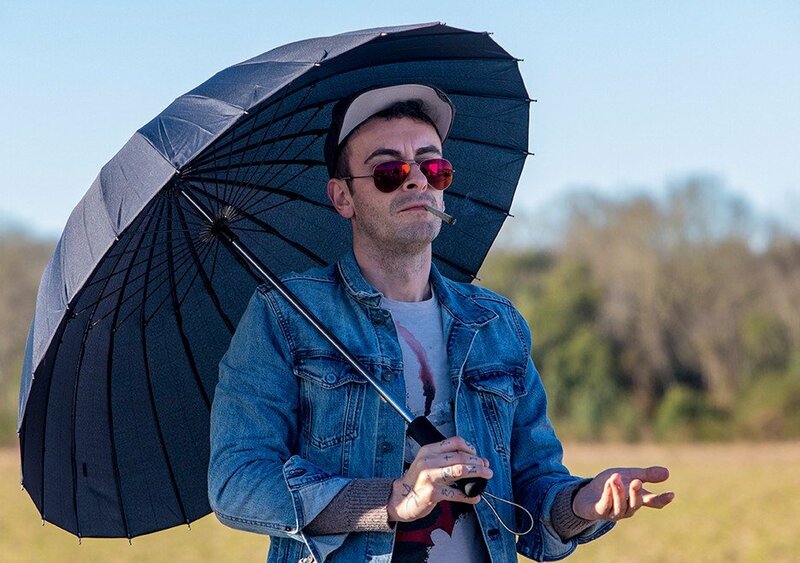 Lifted from the pages of Garth Ennis and Steve Dillon’s equally jet-black source material, Preacher made its debut just over a year ago to relatively strong reviews. 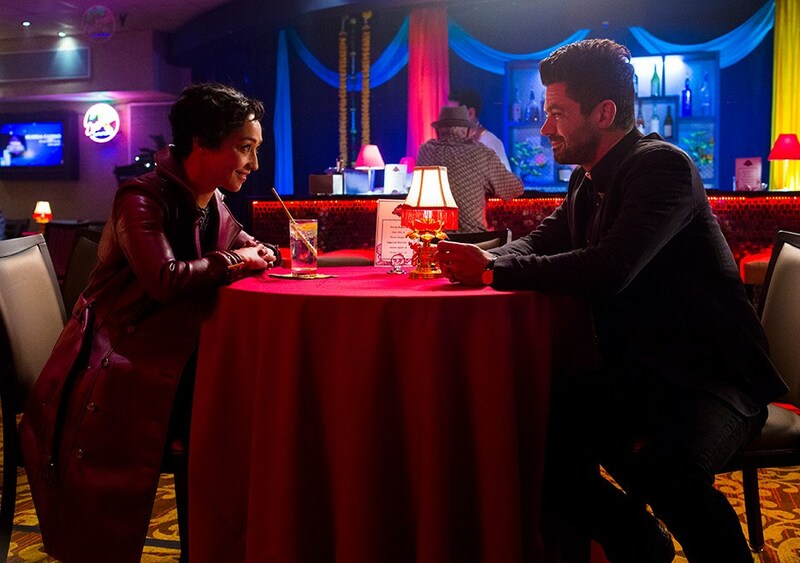 Ditto for the show’s viewing figures, meaning that it didn’t take long before AMC ordered an expanded second season – up to 13 episodes as opposed to the original run of ten – that heralds the return of Cooper’s Jesse Custer, along with Tulip O’Hare (Ruth Negga) and Cassidy (Joseph Gilgun). Story-wise, Preacher‘s second season will chronicle Jesse’s search for God himself, whereabouts unknown. 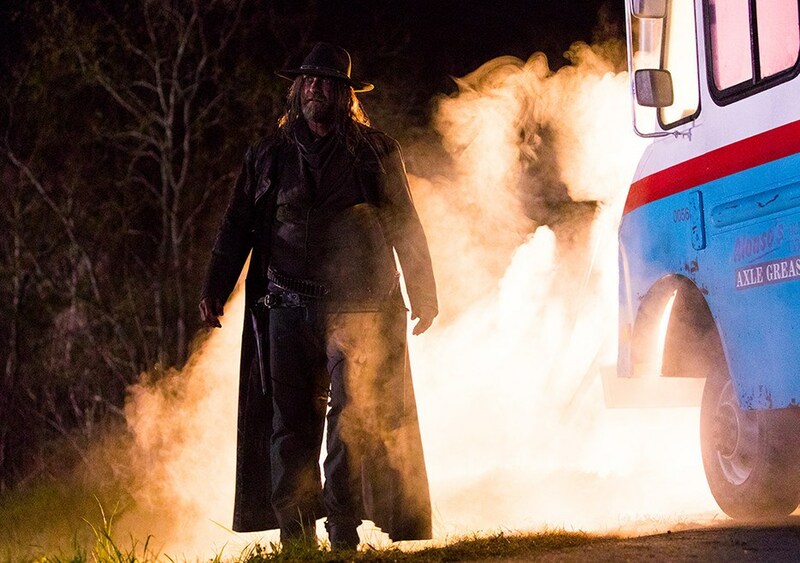 Flanked by Tulip and Cassidy, our leading trio is also trying to put some distance between them and the oncoming Saint of Killers, who’s no doubt baying for blood in the fallout of season 1’s explosive finale. And though some fans are wary of the notorious sophomore slump, Cooper has hinted at the radically different tone that awaits in the show’s second season. This, coupled with the fact that the instrumental creative players – namely Seth Rogen, Evan Goldberg and Sam Catlin – have taken fan feedback on board leads us to believe that Preacher will be able to live up to expectations – if not exceed them – in three weeks’ time. Finally, we know that AMC has drafted in a raft of new faces in time for season 2, including Noah Taylor, Pip Torrens, Julie Ann Emery, Malcolm Barrett, Ronald Guttman, and Justin Prentice, who was last seen in popular Netflix drama, 13 Reasons Why. 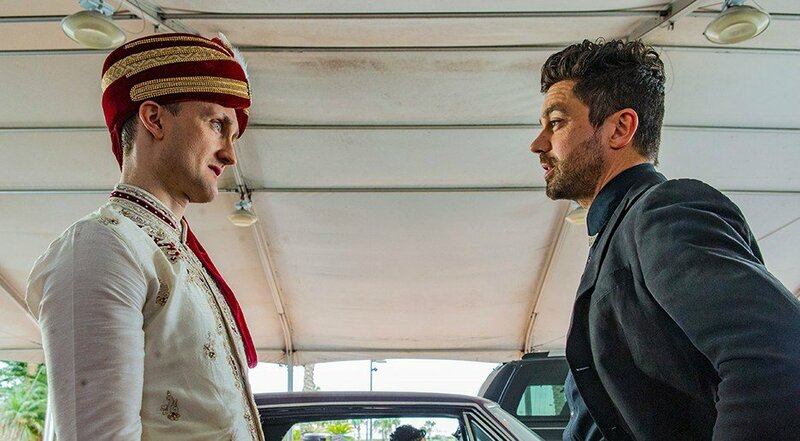 The road trip from hell begins in earnest when the second season of Preacher bows via AMC on Monday, June 19th at 9:00 pm ET/PT.